Book Giveaway for Christmas; Only 1 day left! Greetings dear readers. As we draw near to Christmas I know that one thing many will have on their list is a book. With this in mind I have decided to give away two books for the Christmas season. And this giveaway will be slightly different than normal. Rather than end on Sunday, it will continue until 9:00 am on Friday, December 14th. At that time I will choose two lucky winners. So here are the books. First up is Kenneth E. Bailey's Paul Through Mediterranean Eyes: Critical Studies in 1 Corinthians (IVP, 2011). In this groundbreaking study of Paul's first epistle to the Corinthians, Kenneth Bailey examines this canonical letter through Paul's Jewish socio-cultural and rhetorical background and through the Mediterranean context of its Corinthian recipients. Uncovering the letter's roots in the Hebrew prophetic tradition, its intentional theological organization and its rhetorical reference to Near Eastern cultural practices, Bailey allows us to see the full scope of Paul's response to a community in crisis. If you are observant you will notice that I tried to give this book away a few weeks back. I announced the winner, but he never claimed the book. Thus I am trying once again to give it away. If you enter don't forget to check back next Friday to see if you win. See the details below on how to enter. 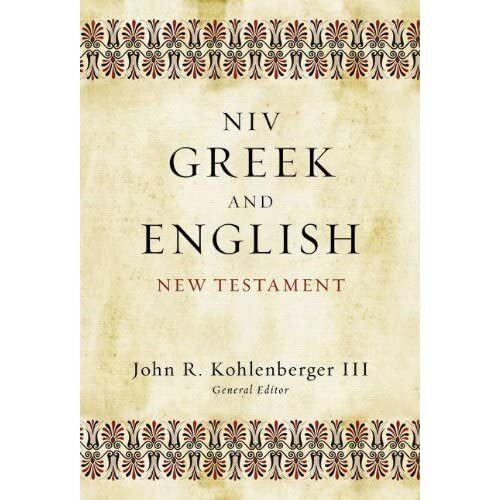 Second up is the NIV Greek and English New Testament (Zondervan, 2012). Here is the blurb. The NIV Greek and English New Testament is a parallel Bible, with the Greek New Testament on the left-hand page (using the text that underlies the NIV 2011) and the NIV 2011 on the right-hand page. The Greek text includes footnotes that relate to other Greek New Testaments, and the NIV has the footnotes readers have come to expect and rely on. Section headings are identical in both editions for easy reference. Additional features of the NIV Greek and English New Testament include: Side-by-side format (Greek text on one page with NIV on the facing page) Greek text formatted to match the NIV text Single column format Words of Christ in black Presentation page Maps. Now if you want to win one of these two books here is what you must do. Enter your name below and tell me which of these two books you are hoping to win. I will randomly choose two readers next Friday and post the names of the two winners. You will have until Monday, December 17th to claim the book. As soon as I hear from the winner I will mail the book so you can have it for Christmas. 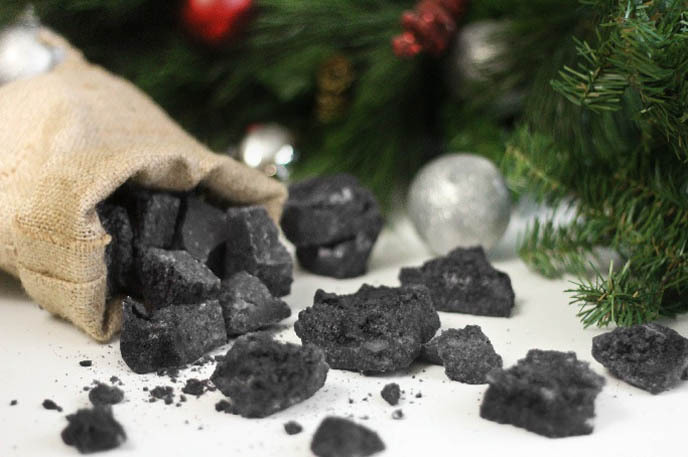 IF YOU DON"T CHECK BACK TO CLAIM YOUR PRIZE I WILL GIVE IT TO SOMEONE ELSE AND WILL SEND YOU COAL INSTEAD. I remember the day I first heard about Ted Haggard's fall from grace. The accusations of sexual immorality and drug use were everywhere as the media celebrated the demise of yet another one of those moralist Christians who spend their time condemning everyone publicly for the very acts they do in secret. The church wasn't any better. I remember overhearing a conversation between some people who were shaking their heads at Ted. They were disappointed with him, but they also were categorizing his sin in the "worse of the worse" column. One gentleman, said "If he was going to do this at least it could have been with a woman!" Funny how the church is more willing to gloss over some sins more than others. I knew little about Ted Haggard before his troubles and still know very little about him. I gave up on following the stories of fallen heroes, Christian or otherwise, since I realized long ago that we are all capable of making the very same mistakes.We think we are somehow immune from "it" happening to us and we go our merry way in life until one day we realize we are in a real mess. And often it's a mess that we have made, but are left wondering how we ever got there. An article in Leadership was brought to my attention this morning about Ted Haggard. This time I read it and I am glad I did. It is by Michael Cheshire a pastor in Colorado who began a friendship with Ted Haggard and has some good insight on forgiveness. Here is part of what he says. A while back I was having a business lunch at a sports bar in the Denver area with a close atheist friend. He's a great guy and a very deep thinker. During lunch, he pointed at the large TV screen on the wall. It was set to a channel recapping Ted's fall. He pointed his finger at the HD and said, "That is the reason I will not become a Christian. Many of the things you say make sense, Mike, but that's what keeps me away." It was well after the story had died down, so I had to study the screen to see what my friend was talking about. I assumed he was referring to Ted's hypocrisy. "Hey man, not all of us do things like that," I responded. He laughed and said, "Michael, you just proved my point. See, that guy said sorry a long time ago. Even his wife and kids stayed and forgave him, but all you Christians still seem to hate him. You guys can't forgive him and let him back into your good graces. Every time you talk to me about God, you explain that he will take me as I am. You say he forgives all my failures and will restore my hope, and as long as I stay outside the church, you say God wants to forgive me. But that guy failed while he was one of you, and most of you are still vicious to him." Then he uttered words that left me reeling: "You Christians eat your own. Always have. Always will." I had a hard time understanding why we as Christians really needed Ted to crawl on the altar of church discipline and die. We needed a clean break. He needed to do the noble thing and walk away from the church. He needed to protect our image. When Ted crawled off that altar and into the arms of a forgiving God, we chose to kill him with our disdain. Cheshire hits the nail on the head. As the church we often talk about forgiveness, but we really don't practice it in the way that we claim. I suspect that we could all stand to remember Jesus' parable on the unforgiving servant in Matthew 18:23-35. Like the man who was forgiven an unpayable debt, we all want to extract our pound of flesh from those we think somehow owe us. It is so easy to forget that we have made mistakes and were forgiven. It is also easy for us to forget how easy it would be for us to be the next Ted Haggard. And in our heart of hearts we all hope that, should we fall, we would also be forgiven. Sure there will be consequences. But when someone repents, is forgiven by God and yet can never quite measure up to our approval, then we are in danger of becoming the unforgiving servant in Jesus' parable. David deSilva is my colleague here at Ashland Seminary. Among the many fine books that he has written is his Introducing the Apocrypha (Baker, 2002). It is a well written, accessible volume that has proven to be very popular. 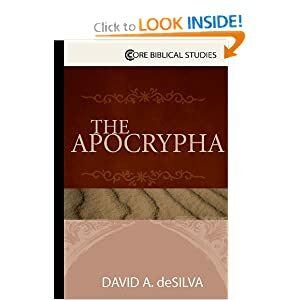 Now David has written a shorter presentation with Abingdon Press titled The Apocrypha, which is part of the Core Biblical Studies Series. Here, in David's own words, is what the book is about and why he wrote it. After the books of the Hebrew Bible (the Protestant Old Testament) and the New Testament, the Apocrypha, or the Deuterocanonical Books (as Roman Catholic and Orthodox Christians know these texts), constitutes the single most important collection of books from antiquity for understanding the shape of Judaism in the centuries around the turn of the era and the matrix within which the early church was formed. The impact of these texts on Jesus, the writers of the New Testament, and the early church is pervasive and potent. 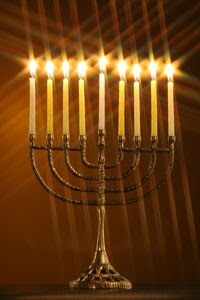 They are also valuable in their own right as witnesses to the faith of Jews seeking to remain loyal to the covenant and to God amidst the stresses of living as a minority group in the Hellenistic and Roman world. I wrote this book as an invitation particularly to the non-specialist and the general reader to explore these important texts and as a guide to thinking about their contexts and their contributions. Unlike my much fuller Introducing the Apocrypha: Message, Contexts, and Significance(Baker Academic, 2002), which provides background and analysis on the collection text-by-text, this brief volume approaches the material more thematically. It should be of use both to individual readers and to groups wishing to study these texts together. If you are looking for a book that will help you begin to read and understand the apocrypha, then I recommend this book. If you are a leader in the church, it will be a good volume to give to those who have questions about those books. Many thanks to David deSilva and Abingdon Press for the gratis copy. 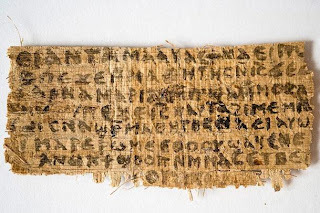 The furor over the Gospel of Jesus' Wife fragment seems to have died down, for now at least The media has moved on to other stories and Karen King, along with the rest of the scholarly community, is still waiting for the ink tests to help determine the fragments authenticity. At this point, no one is sure when the tests will be complete. In the mean time, Harvard Theological Review is standing by its decision not to publish King's article on the fragment until its authenticity can be verified. See article here. While I, along with others, have doubts that the fragment will be found to be authentic, I don't think Karen King was or is attempting to pull the wool over anyone's eyes. I do think she jumped the gun by filming a television documentary for Smithsonian, but I don't think she has tried to be duplicitous in any way. At the very most she may be the victim of a well executed forgery. The same can't be said for David Elkington and the Lead Codices that he has been promoting as "some of the most important documents of early Christianity." 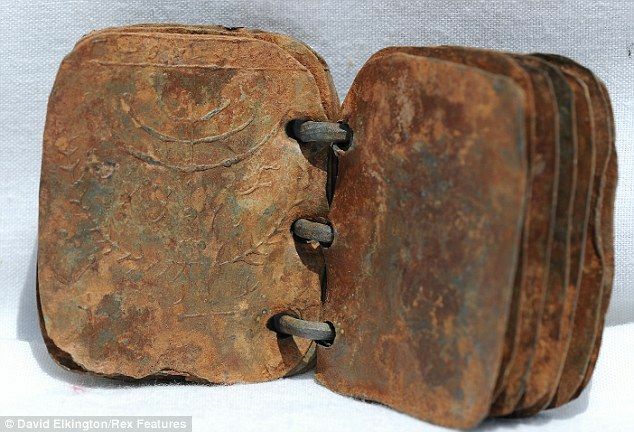 Historians, experts in epigraphy, biblical scholars and those of us who blog on these topics have been questioning not only the authenticity of the Lead Codices, but also David Elkington. Now, is a recently released investigation by the BBC program Inside Out West, it seems that the evidence is stacked against the codices and Elkington. It is a 13 minute clip and very informative. Still thinking about a career in theological studies? With the doomsayers predicting that that next bubble to burst will be education, there has been a lot of navel gazing going on. Surveys are being published about graduation rates, student debt level, etc and etc. In my opinion all of this is good. It never hurts for anyone to conduct a serious examination of the facts as a way to help bring needed adjustments and corrections. Along these lines, a recent study was released by salary.com in which they identify 8 college degrees with the worst investment return. As you have probably already guessed, religious/theological studies didn't rate so well. What's more expensive than going to college? Until recently, the answer was easy: not going to college. Numerous studies over the years have shown that individuals with college degrees significantly out-earn those with high school degrees by $1 million or more over the course of a lifetime. But as the cost of education increases faster than inflation and the economy remains relatively weak, people are beginning to question how they spend their education dollars. As student loans hit the $1 trillion mark and more and more graduates are faced with years of paying staggering monthly payments, many are starting to ask themselves, "Is it worth it?" While there's no doubt that a college degree increases earning power and broadens opportunities, today's high cost of education means it makes sense to more carefully consider which degree you earn. When it comes to return on investment (ROI), not all degrees are considered equal. This article exposes eight college degrees with poor ROI. This is certainly not encouraging, but I think many will also note that we didn't go into this filed for the money. Don't get me wrong. Money is nice if not a necessary evil. I never imagined I was going to get rich in this field. But if you are thinking about a career that requires a degree in religion/theology you should be aware that the returns are not all that great. Perhaps this survey can serve as a good reminder to us all that piling up debt to rush through a degree in this field is not necessarily the best way to go about fulfilling your call. Paul views the gospel’s arrival as beginning a chain reaction with Thessalonica at the epicenter. It was like dropping a stone into the center of a quiet pond. At first there is the initial splash, then ripple after ripple reaches out until it fills the entire pond. In Thessalonica the gospel caused an initial “splash” (1:5a; cf. Acts 17: 1-4) and formed a series of concentric rings beginning with the way the apostles chose to live among the Thessalonians (1:5b). The rings expanded to include the Thessalonians who became imitators of the apostles and the Lord (1:6). Eventually the rings expanded beyond the walls of Thessalonica so that they became an example to other believers living in the far flung areas of Macedonia and Achaia (1:7). But the splash did not end there. The concentric rings from the initial splash extend far beyond Thessalonica to places and in ways that neither Paul nor the Thessalonians could have predicted nor imagined (1:8). In fact, the events in Thessalonica are so well-known that the apostles can sit back and say nothing. The results speak for themselves (1:8). The world is becoming increasingly smaller and more interdependent. Globalization as an economic, cultural and political phenomenon is linking the world in ways never before seen. Whatever our opinion of globalization, we must acknowledge its existence and the impact that it is having on how ministry is done, in particular missions and evangelism. Most of the world now participates in a global culture connected by better communication, an interdependent economic system and is formed by a way of thinking patterned on the scientific method. Religion has also become globalized. As Muck and Adeney point out, “religion” as a generic category is more viable in a globalized world (Christianity Encountering World Religions:, 17-18). In the past, “religion” generally only meant one thing, depending upon where you lived. For instance, if you lived in the west it meant Christianity, Islam if you lived in the Middle East and Hinduism if you lived in India. Religion was, at least perceptually, more regional than global. Now, the lines are blurred and it is common to encounter people of other religions in whatever region of the world you may find yourself. I have seen this blurring of the lines happen in my own lifetime. I grew up outside of New York City on Long Island. When I was in school it wasn’t uncommon for other kids to ask “what is your religion.” By that question they meant: are you Catholic or Jewish? In my neighborhood you were either Jewish or Catholic. Those two groups represented the vast majority of religious identities in my area, even in a place just outside of the New York metropolitan area. Yes, there were other groups there. But they were few enough in number that we did not notice them. Now, however, it’s not unusual to see a sign for a Buddhist temple or the minarets of a mosque among the church steeples and synagogue menorahs. The globalization of religion invariably impacts our ministry and evangelism. There is an increasing chance that the person working with you, walking in the park or answering the door is going to be Muslim, Hindu or a member of some other religious group that is not Christian. We no longer live in a world where religious identity can be assumed based on the region in which we live. Just as globalization has opened up the market place to products and services from around the globe, it has also brought religion to new places and Christianity no longer encounters these religions. It coexists with them. While religious globalization might be threatening to some, there are some parallels with the first century. In the Greco-Roman world the religious market place was not just an economic metaphor to describe the dissolving of geographic, political and economic boundaries between countries and regions. Religion was literally in the market place. I remember the first time I toured ancient Corinth and was struck by the way that the temple of Apollo dominates the agora. Archaeologists have uncovered and identified some nine temples and seven shops/markets from the first century all scattered among one another in the agora. The close proximity of temple and market explains why some, if not most, of the meat available in the shops had been butchered as part of temple sacrifice, a problem Paul confronts in 1 Cor. 8-10. The situation was probably the same in Thessalonica. While much of first century Thessalonica remains unexcavated, the city’s forum has been excavated along with some of its shops. Remnants of inscriptions and buildings belonging to a number of temples, including one dedicated to worshiping Caesar, have been found suggesting that religion in Thessalonica provided a smorgasbord of opportunities for worshipers. But this mixture of religions in the market place was not only a pagan phenomenon. Early Christians do not seem to have been shy about opening a church in the same neighborhood as a pagan temple. In the third century Syrian city of Dura Eurpos located on the Euphrates River, archaeologists have uncovered more than thirteen different temples. If you walk the streets at the western edge of town you pass by a number of pagan temples or shrines as well as a Jewish synagogue and a Christian house church. Consequently, when Christianity came to town the religious marketplace was already very crowded. Religious pluralism typified all ancient cities and Christianity did not step into a religious vacuum waiting to be filled. Christianity was one among many competitors vying for attention and support. The religious setting of the ancient world also impacted evangelism. As noted above, it does not seem likely that the first Christians in Thessalonica initiated a missions movement to spread the gospel. On the contrary, the troubles they encountered at home probably kept them preoccupied. Besides, the church was still very young and still in need of learning much about the gospel, as Paul himself acknowledges in 3:10. Yet, word about what was going on in Thessalonica spread to the surrounding area. Their “turn from idols” to worship God (1:9) seems to have been enough to get the attention of a lot of people. Their life style was radical enough that they did not need to advertize it. People seemed to notice. Moreover, considering the religious market place of the Greco-Roman world, there was no need for them to go outside of their own city, they were able to be very effective in their own location. They were salt and light within their own community. In a globalized world, missions no longer require us to move to a foreign land. In previous centuries it was possible to never encounter someone from another people group and culture. Now, it is almost impossible not to encounter someone who is different from us racially, ethnically, religiously. This means that for many of us the opportunity for missions exists right where we live. The concentric rings can start in our own cities and neighborhoods. The gospel “splash” happens where we live. 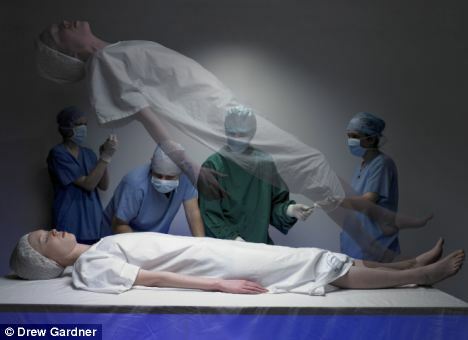 Near Death Experiences: Are they real and do they matter? I remember the first time I was introduced to the idea that some people have died and come back to life. In the 1970's a documentary style film Beyond and Back was shown in theaters across America. It claimed to be a" movie that dares to investigate the possibility of life after death" based on the studies of parapsychologists, doctors and the testimonies of real people who were pronounced dead and yet miraculously recovered. Over the course of two hours story after story of people who "died and came back" was shared with the viewing audience. I was probably ten years old when my parents, new Christians, took us as a family to see the film. We didn't get out to the movies much and I remember thinking I would rather have seen Star Wars. But the film first introduced me to the idea that some people die and come back to life. I think it played an important part in affirming my own belief in life after death. Of course, when I watch it now I realize just how bad of a film it was, but it did cause quite a stir in the Christian community. And ever since then I have been aware of speakers and books making the circuit that share the stories of people who have died, returned and told their story. Most claim to have gone to heaven or a place of peace and light. A few claim to have gone to hell and back. The current issue of Christianity Today has an article on the topic. In the article Mark Galli asks whether it matters if people who have what he describes as "near heaven experiences" tend be theologically confused. Quite often what these people describe is not in line with traditional orthodox Christian belief. But Galli says that he does find many of these testimonies to be true because they have the ring of historical authenticity that historians look for. Unfortunately, Galli doesn't detail the criteria he is using. For a nonreligious point of view on the topic see the Daily Mail's May 2011 piece on near death experiences. As I said above, over the years I have been aware of numerous books and speakers circulating on the topic. I remember once when someone gave me a book to read about how Jesus took a woman to hell to "show her around." The person who gave me the book wanted to know what I thought. I read the book and told her I didn't believe it. The person was less than happy with me because they didn't want my opinion but my affirmation At the time I wasn't sure why I doubted the author's story. It was only years later when I began reading Jewish apocalyptic literature that I realized the book was a wholesale ripoff of the book of Enoch and Dante's Inferno. To this day I remain more than skeptical about people's near death/ near heaven experiences. It's not that I doubt that they really did have some sort of experience. But I am not sure that the experience is all that they claim. I also think that there are a lot of frauds out there. But whether these experiences are real or not, I wonder to what extent we should be basing any amount of theology on them. The Bible describes people coming back from the dead, yet not one of them that I can think of recounts what is was like. In the end, the way that these type of books are promoted seem to be a distraction from more important issues. What about you? What do you make of these testimonies? To what degree should base anything in our faith and theology on them?